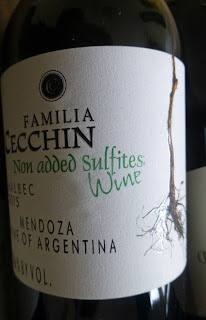 According to Wines of South America, The Cecchins of Maipú, Mendoza, are a third generation wine family with a very strong focus on Carignan (though also well-known for their Malbec). They use horse-drawn ploughs and native yeast. The plots in their 27 acres of organic vineyards are bordered with aromatic plants to attract animal pests away from the vines. If you’re lucky enough to visit and dine in their restaurant, you’ll see the fruit, walnuts and olive oil, all organic, are grown on the farm. The Cecchin Carignan has a purple colour, with a lighter rim. Earthy and savoury scents outweigh the expected fruit. On the palate, the fruit is the main element, a touch of spice too, tannins well integrated, no shortage of acidity and a lengthy finish. Light and refreshing and Highly Recommended. Carignan is used mostly in blends, particularly in the Languedoc. It is rarely enough seen solo. Suggested food matches include Peppery Catalan sausage, Spicy lamb meatballs, and Aubergine lasagne. Fairly deep ruby red colour. Moderately intense aromas (black berries, cassis). No oak has been used. Straightforward Cabernet Sauvignon character on the palate, fresh and fruity and full bodied, full of vitality and noticeable acidity, good tannin structure and excellent length. This is a very dry wine, not at all related to the regular South American fruit bombs, and Highly Recommended. 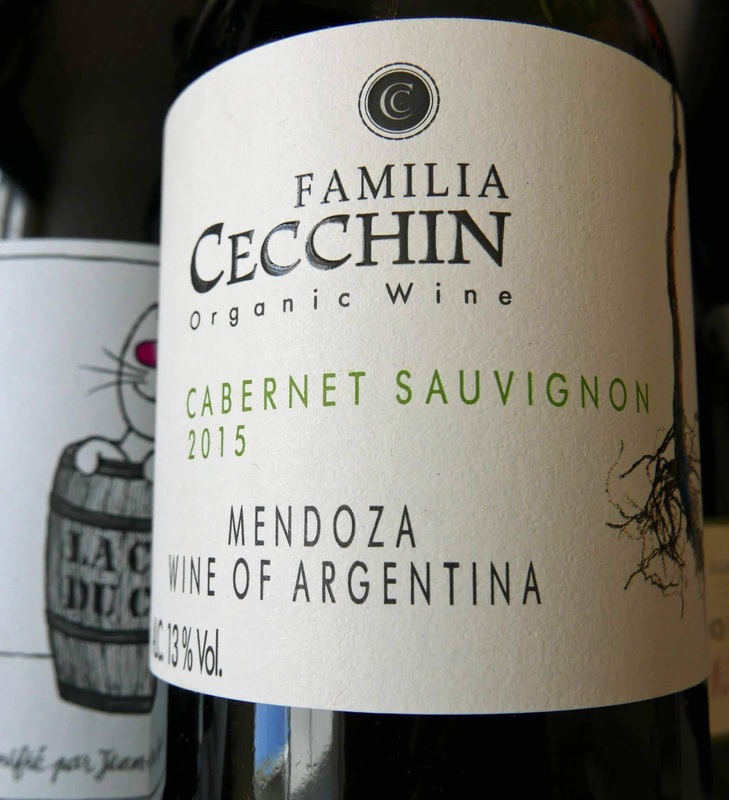 Cabernet Sauvignon is one of the world’s most widely grown grapes and this Mendoza effort is really good value especially when you see that the Screaming Eagle version from the Napa Valley will, according to Wine-Searcher, cost you over €3,000 a bottle! By the way, Wine-Searcher suggests Fillet steak with foie gras and truffles; Beef wellington with honey roasted carrots; Korean-style beef stir fried in garlic, soy and sesame, as a match for Cab Sauv. Did you know that, in 1997, DNA profiling revealed the grape to be a spontaneous crossing of Cabernet Franc and Sauvignon Blanc which took place in 17th century southwestern France? Two Superb Reds. A Morgon by a Maestro. A Malbec from the High Desert. A Morgon by a Maestro. A Malbec from the High Desert. Every month in the vineyard, there are decisions to be made, practical crossroads to be negotiated. They concern, for instance, cultivating and fertilising soil, planting, training and pruning vines, and when to begin picking the grapes. But before all that, the vineyard is shaped at a philosophy crossroads. Quantity before quality. Chemical or organic. Fortunately for us, Jean and Agnes Foillard gave the thumbs down to the industrial and choose the natural organic route. Their healthy and beautiful wines are their reward and our pleasure. In Morgon, Foillard wines express the terroir like a maestro musician. “The aromatics soar and the texture is silky and fine”. Try it in three movements: Le Classique, Cotes de Py, and Corcelette. Long may the maestro of Morgon play on. The fruit for our Côte du Py, also known as Le Classique, is grown on a hill that is actually an extinct volcano and is masterfully transformed into a soft delicious vibrant-red wine with superb depth of vivacious flavours and a refreshing acidity. There are cherry and raspberry notes, floral too, in the aromas. On the palate, it is elegant with no shortage of minerality, tannins are a very fine influence here and the finish just goes on and on. Foillard, a leading natural winemaker, has been described as the master of this hill (Côte de Py) and this stunning 2016 will serve to reinforce that claim. Very Highly Recommended. Give this a few more years and it will be even more rewarding. 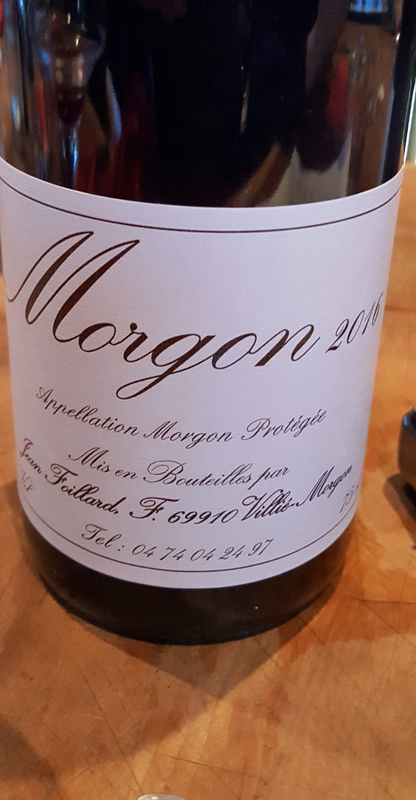 There are ten crus in the Beaujolais region and Morgon, as you probably know, is one of them. With the typical acidity, these wines can match a range of foods. One suggestion that I fancy is Moroccan Lamb Tagine with apricot. In Salta’s high desert, for centuries farmers made offerings in hope of a miracle for a bountiful harvest. Esperanza por un milagro is on the front label and the miracle has come to pass inside. This Gran Corte is an amalgam of Malbec (85%), Tannat and Cabernet Franc. Twelve months in oak has added complexity and roundness. Amalaya is acknowledged as a leading producer in this region. Owned by the Hess family, they are best known for their Malbec and Torrontés and this Gran Corte is their signature wine. Colour is purple and there are aromas of red and black fruit. A superbly concentrated wine with a wash of spice, complex of flavour with rounded tannins and a long spice-driven finish. The winery, by the way, makes only blends and this man-made Malbec miracle is Very Highly Recommended. 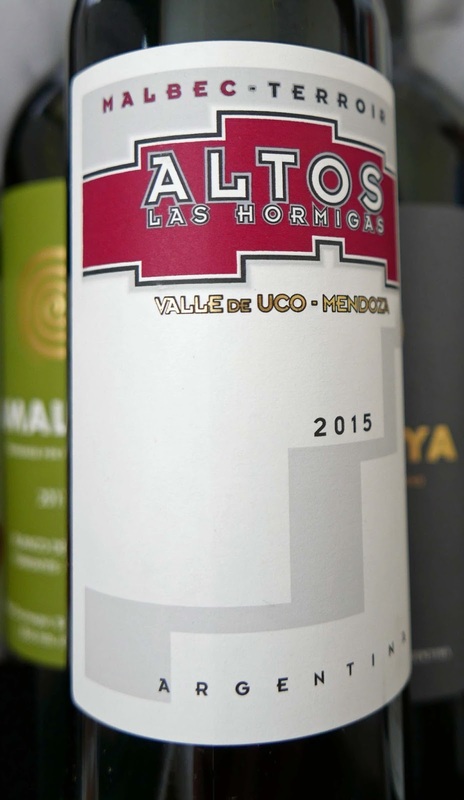 The fruit for this one hundred per cent Malbec comes from the Valle de Uco, an area known for its fine fruit and floral bouquets. It can age for up to five years. Fifty per cent is aged in cement piletas (pools) for 12 months, 25% in stainless steel vats and 25% in untoasted large oak foudres. Colour is a mid to deep ruby and there are aromas of plum and cherry. So smooth, fresh and spicy too, the perfect introduction. And so it progresses harmoniously across the palate, the lively acidity playing its part, all the way through to the long finalé. This is a marvellous Malbec, from producers well known for their Malbec, and is Very Highly Recommended. This wine comes from the Colchagua Valley in the centre of Chile. The Montes vines are irrigated under a Sustainable Dry Farming regime that has led to a 65% decrease in their water footprint. It has a dark ruby robe, the legs slow to clear. The aromatic nose gives ripe dark fruits, toasty notes, hints of vanilla too. Palate is quite complex and intense, plums now prominent in the flavours, sweet notes too, though more or less well balanced. From a dry and sunny terroir, with outstanding fruit and aromas, this is a great example of Malbec from Chile and Very Highly Recommended. 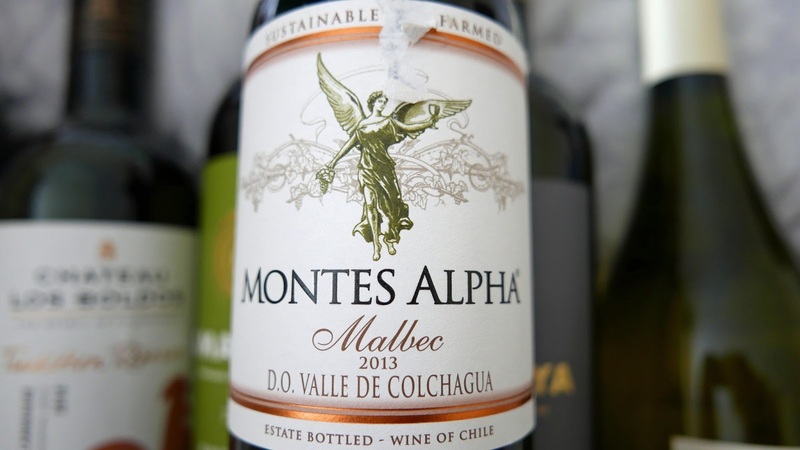 According to the Wines of South America, Montes (founded in 1988) is credited for its pioneering work in the Colchagua’s Apalta district, the first to realise its potential as one of the best locations for red wines in Chile and “is among the most important wineries in Chile today”. As a further endorsement, their Alpha “M” (very limited production) is listed as one of the top 20 South American wines to drink before you die. 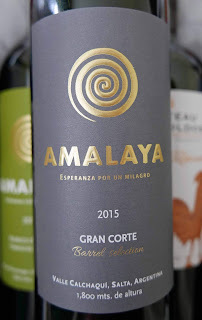 Amalaya make only blends and this is a mix of Torrontés (85%) and Riesling (15%). In Salta’s high dessert, Amalaya vineyards begin a mile above sea level and are well known for Torrontés and Malbec. 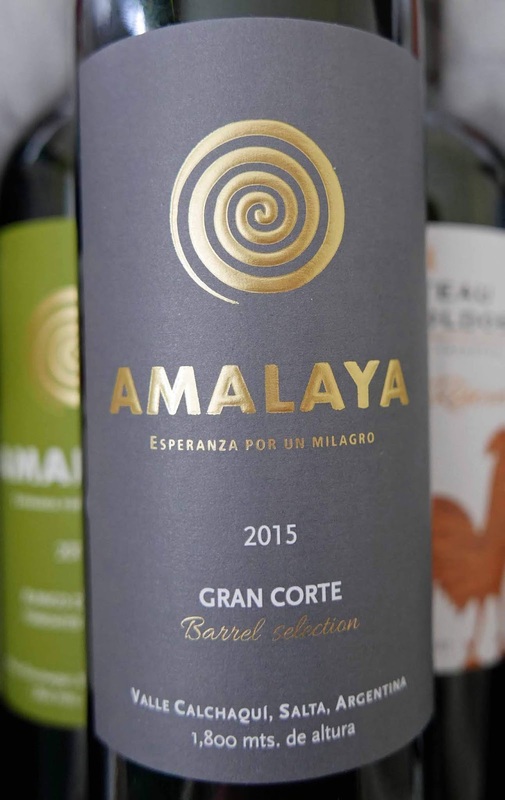 The journey up “is not for the faint-hearted” according to Wines of South America, who recommend Amalaya as a top producer in the area. Colour is a mid-straw yellow. White fruits feature in the moderately intense aromas. Beautiful fresh flavours, grapefruit and citrus, on the silky smooth palate, the crisp acidity provides balance. Fruit stays to the finish where mineral notes are much in evidence. Highly Recommended. 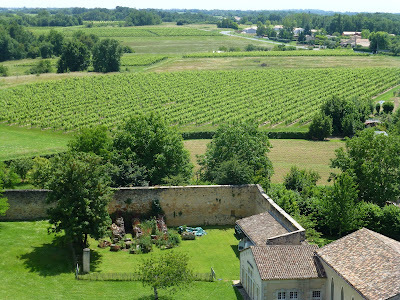 Bodegas Caro, founded in 1999, is a Catena family partnership with Domaines Barons de Rothschild, the owners of Chateau Lafite. “The operation focuses on classic red Bordeaux blends,” according to Wines of South America. “…all grapes for this project are purchased.” Caro tastings are held in their vineyard caves that date back to 1884. So there is some pedigree in both sides of the partnership. The signature wine is Caro and other main labels are Aruma and Amancaya. The blend for the latter is based “on the elegant texture of Cabernet Sauvignon enhanced by the fruit of the Argentinean Malbec”. 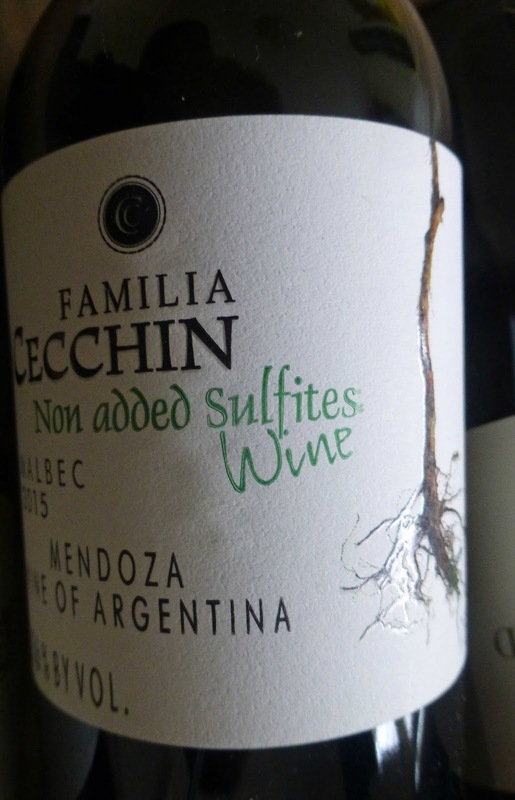 It has been aged in French oak and is more fruity due to the higher percentage of Malbec and shorter ageing. The name is the native Indian name of a flower found at high altitudes in the Andes in the Mendoza area. Colour is ruby, the legs slow to clear. There are generous aromas of cherries and dark berries, plus sweet spice too. The palate has fruit (no shortage) and vanilla (from the oak) and it is noticeably dry. Tannins are still at play here in a smooth and elegant wine, supple and satisfying right up to and through the long finish. Very good on the first day and even better on the second; decant and take your time! Very Highly Recommended. A match with beef is guaranteed but venison may be the pairing to remember! 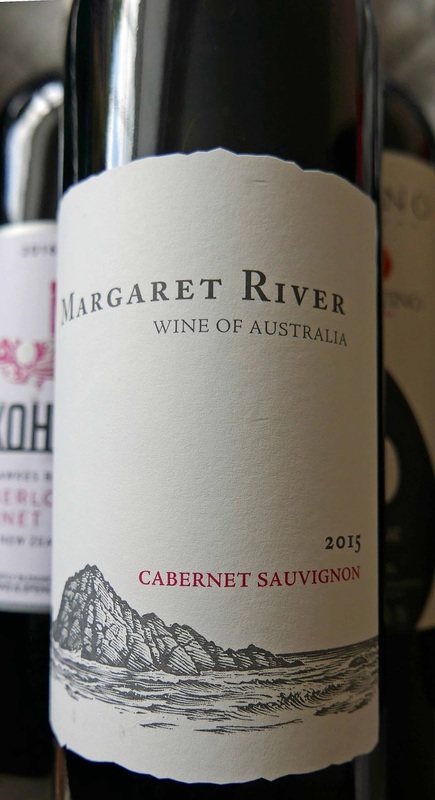 The Margaret River area, in Western Australia, is justifiably famous for its smooth and complex Cabernet Sauvignon, though usually at a higher price than this. Winemaker is Matt Byrne and producers Marks and Spencer say this is “a blend of Cabernet Sauvignon with Merlot (12%)”. The Decanter tasting panel recently gave it a score of 95 and awarded it Platinum: Best Value Australian Red Bordeaux Varietals. Colour is a deep ruby. Dark red fruits feature in the aromas. It is indeed complex and smooth on the palate, juicy and full of intense blackcurrant flavours, some spice too, tannins on the lips (inside and out); the finish is very satisfying with the fruit still a factor and hints of the oak there too. Elegant and well balanced this is Very Highly Recommended. The All Whites. Including a Mendoza Double. Have you been reading The 24 Hour Wine Expert by Jancis Robinson? At €6.80 (Waterstones), it is well worth getting. In a section called Be Adventurous, she lists 15 pairs, one wine The Obvious Choice, the other tagged The Clever Alternative. In Sauvignon Blanc, the obvious is Marlborough while the alternative is Chile. The alternative, she says, can “be sometimes cheaper, often more interesting”. This Valle Aldino is certainly cheaper and, while not more interesting than the better Marlboroughs, is a good alternative at a decent price. Colour is a light straw with tints of green. Fresh and grassy aromas, white fruits there too. Gooseberries and citrus flavours, with strong melon-y notes too, on the zesty palate, plus a decent finish. Recommended. In 1990, the Bousquet family from Carcassonne in Southern France began to explore wine-making possibilities in Argentina. 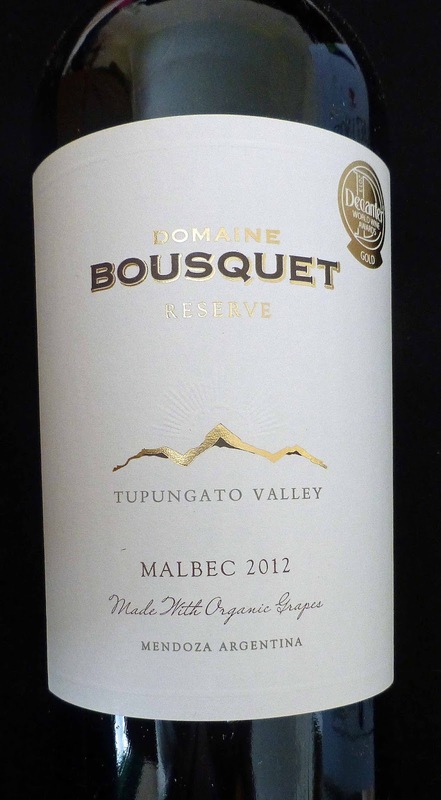 In 1997, they settled in Tupungato (Mendoza) in one of the highest vineyards in the world. It is no less than 1,200 meters above sea level. There is a large difference between day and night temperatures. This variation (the thermal amplitude) helps create fully ripened grapes with good acidity. The heat of the day promotes the ripening, the chill of the night preserves acidity. Grapes are hand-picked and the vineyard is certified organic. Colour is a light gold, clean and bright and a ring of bubbles stay around the rim for a while. It is strongly aromatic, some exotic white fruit and floral notes too. Concentrated white fruit flavours announce its arrival on the palate and the acidity ensures a happy balance. It is an elegant style with a dry and pleasing finish. Highly Recommended. The mix is 85% Chardonnay and 15% Pinot Gris. And the Reserve apparently means that the grapes have been picked from the best plots. 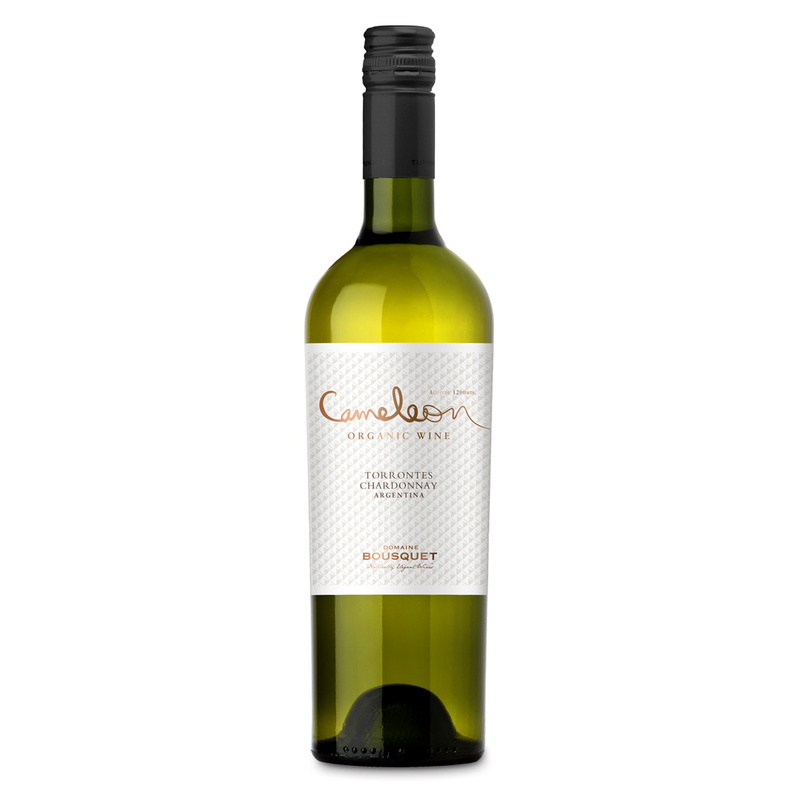 Domaine Bousquet Cameleon Selection Torrontes - Chardonnay 2014 (Tupungato, Mendoza, ARG), 14%, O’Donovan’s Off Licence. The Cameleon, one of their brands, symbolises the family story of Jean Bousquet, the leaving of France and adapting to the new life in Argentina. Adapted quite well going by this bottle, also Highly Recommended. The blend here is fifty fifty. Aging is in stainless steel plus four months in bottle. Ideal, they say for seafood, fish dishes and cheeses. I say fine on its own and worth a try too with white meat and Asian dishes. Colour is a light gold, clean and bright, much like the first bottle above. Aromas are of white fruits, floral notes too. On the palate there are fresh white fruit flavors, some sweet spice, an oily mouthfeel, more body here, that expected acidity and a long, dry and very pleasing finish. This is what the family wanted from the blend and from their soil. “With its subtle attunement, this Chameleon is a conspicuous presence in a landscape of indistinguishable wine.” Don't know what the neighbours made of that statement! 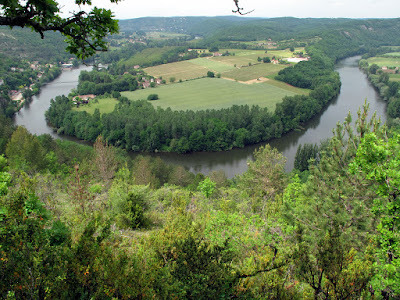 Cahors was famous for its “black wines” even before Bordeaux became established as a producing area. It has had its problems, including phylloxera in 1883-1885. There was a rebirth for Malbec with the founding of the Parnac Coop in 1947. But trouble again in February 1956 when frosts wiped out almost all the vineyards of the region, which thus needed to be replanted en masse. In this replanting, Malbec became more dominant than it had been before. 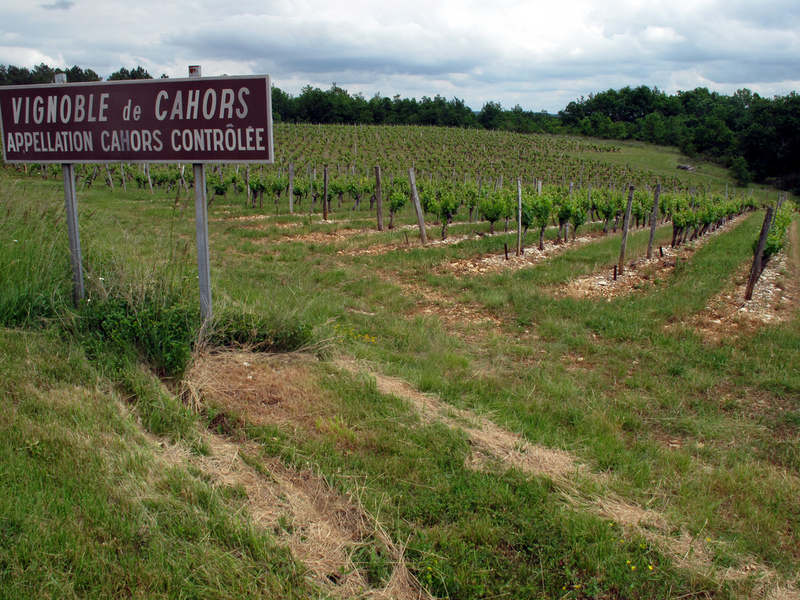 Cahors was awarded AOC status in 1971. Most of the vineyards are planted close to the River Lot as it winds its way west. While Argentina led the major Malbec breakthrough in the United States, Cahors also made big strides there, once the Americans were informed that it was Malbec in the bottle! Quality Malbec too as you can see from the two below. 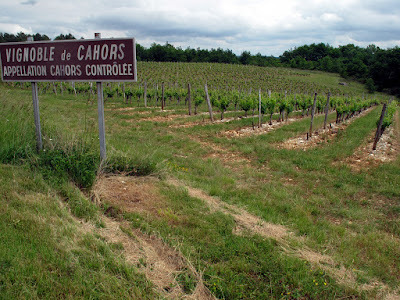 Next time, you see Cahors on the label, have confidence! Colour here is a deep violet, close to black and there are intense jammy dark fruits on the nose. The palate is full of flavour, dark fruits, even a hint of coffee, very intense, strong but not at all heavy, excellent acidity and amazing length. A more mature number than either of the Cahors and Very Highly Recommended. The blend here is Malbec (85%), Cabernet Sauvignon (5), Merlot (5) and Syrah (5). Aged in French Oak for 10 months. They say it is ideal with red meats,sauces, cheeses and pasta dishes. Got lost up in this area, even the Sat Nav got confused! This is a favourite in Bradley’s, a rich wine, intense, tannic, with great mouthfeel. Merlot and Tannat figure in the blend (up to 20% between the two possible). A wine to keep and when opened to enjoy “with game and complex dishes”. This has a ruby red robe (well supported - love those Google translations! ).The mix in the aromas is of black and mainly red fruits, jammy. There is a lovely balance of juicy fruit (some spice) and good acidity, fine tannins are gentle in the mix, and it all ends in long dry finish. Highly Recommended. 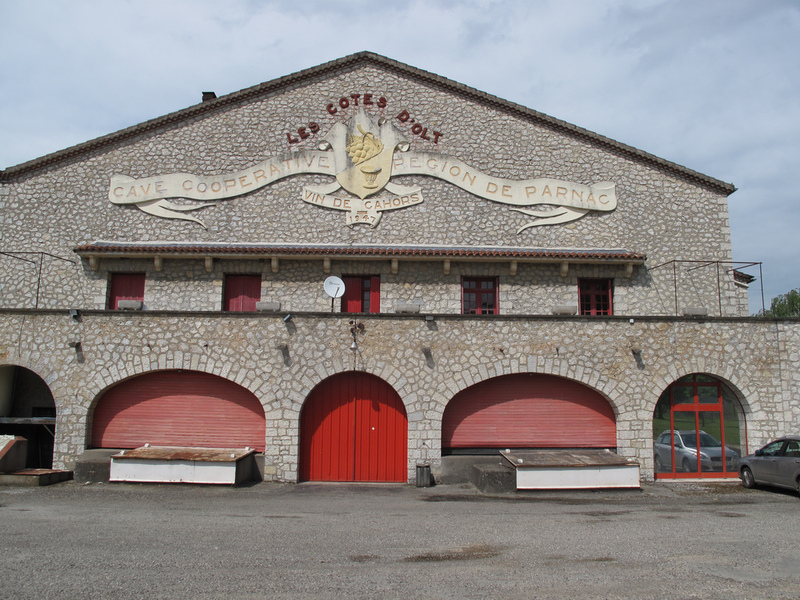 In 1947, a few growers founded this cooperative in Parnac. Their goal was to revive the Malbec , the grape of Cahors. They succeeded and were still going strong a few years back when I called. Another excellent wine from the land of the Lot. 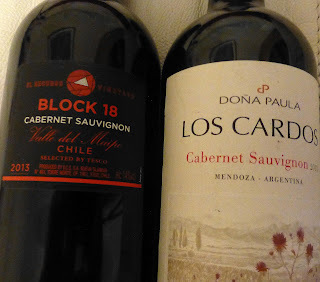 The blend here is Malbec (90%), Tannat (5) and Merlot (5). It has spent 22 months in a mixture of Troncais oak (⅓ rd new) and the winery is certified organic by Ecocert. Would you like to see what the certificate looks like? Check here. This purple wine has aromas of dark fruits, some savoury notes too in there. Dark fruit too on the palate, ripe, rich and rounded, yet this medium-bodied wine, thanks to a lively acidity, has a youthful engaging aspect. Highly Recommended. By the way, if you've bought a lot of this, don’t worry. Stored correctly (at 10/15 degrees and with an air moisture of at least 70%), the winemaker will “guarantee the quality of this cuvée for the next ten years”. Just saying. Striking It Rich In The Real Wine Month. 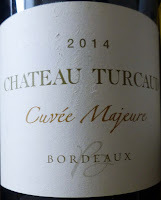 This Bordeaux Is Hors Catégorie! 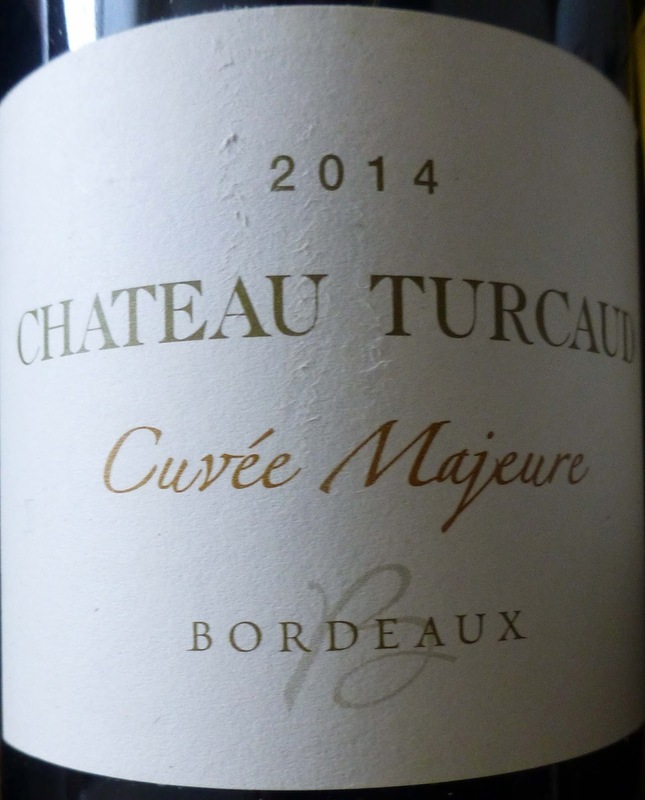 This Bordeaux Is Hors Catégorie! April is Real Wine Month. Restaurants, stores and wine bars are taking part. See what's going on here. Not too sure I should be shouting off the rooftops about this Bordeaux beauty. It is a perfect match - for me! I’m drawn first by its light gold colour. It almost sparkles in the glass. And then those complex aromas of white fruits (apple, pear) along with floral and minty hints and more. The deliciousness continues on the palate, enhanced by a rich voluptuous texture, a very pleasing balance of fruit and acidity, the oak nicely integrated, and a finish that lingers, reluctant to say goodbye. Later, too late on this occasion, I read on the Chateau website that it “can benefit from decanting a half hour to a full hour before the meal, and is ideal served chilled but not too cold.” This wine, they add, is at its best as an aperitif or with marinated salmon, foie gras, fish terrine, scampi, scallops, lobster, fish in a sauce, white meat, and most cheeses. Sauvignon gris (30%) plays a big role in the blend; also here are Sauvignon blanc (55%) and Semillon (15%). After fermentation in French oak (40% new), it is aged for six months on fine lees which are “stirred with a stick (bâtonnage) once a week to put the lees into suspension in order to produce more complex, aromatic wine”. I reckon they got it right! 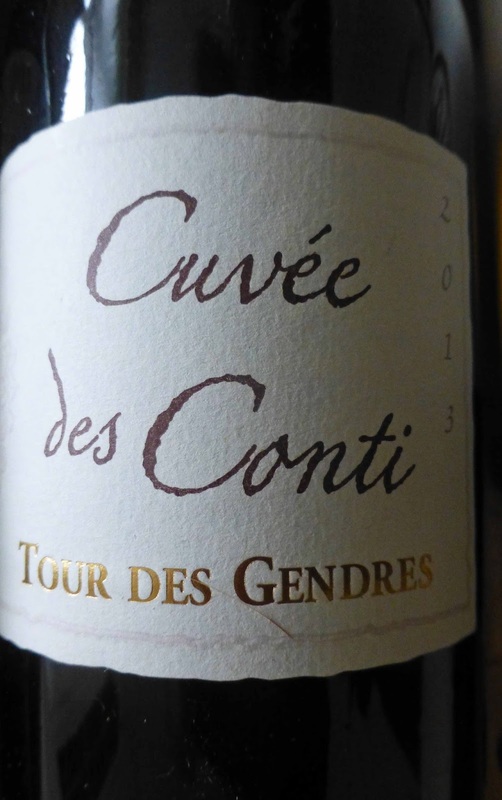 Very Highly Recommended or maybe, as they say in the Tour de France, hors catégorie. Over-the-top labels usually make me quite cautious about the wine in the bottle. And when I saw that this Malbec expresses the “soul of those who make it”, I was thinking that's a bit over the top. But maybe not! This one, made from organic grapes, is Very Highly Recommended! It has a dark violet colour with rich fruit aromas and a peppery drift as well. 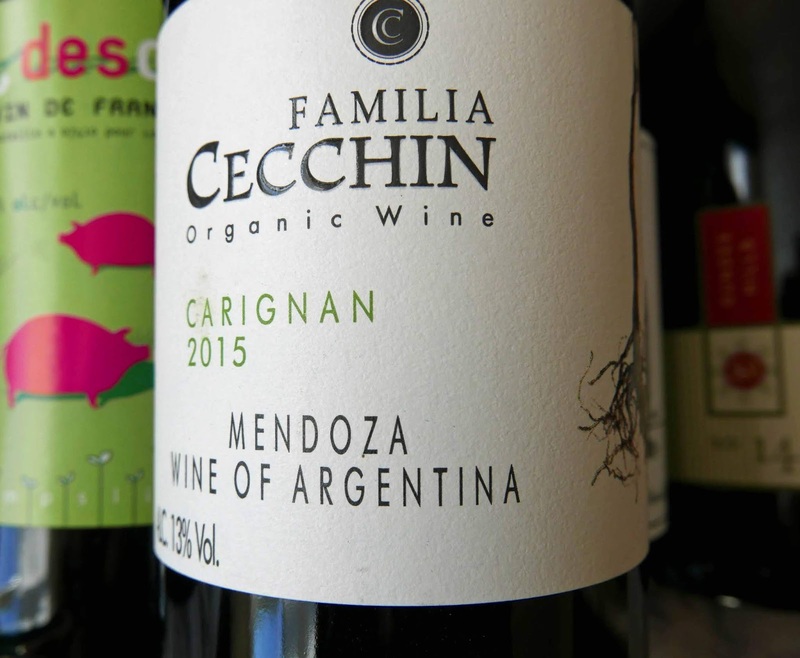 On the palate it may not be quite as in your face as some traditional Argentinian Malbecs but there is a gorgeous restrained rush of fruit flavours and a lively matching acidity, a delightful balance achieved, and with a smashing finalé. Familia Cecchin, who farm in Maipu, Mendoza, is the first Argentinian winery to become part of the Artisan Craftsman Growers, a worldwide association of high quality winemakers. They work in a traditional manner, according to the Wines of South America -”They use horse-drawn plows, minimize the use of agricultural chemicals and use only native yeasts. The vineyards are bordered with aromatic plants.. to attract animal pests and keep them away from the vines.” They are well known for their Malbec, Carignan and Olive Oil! Color is a lovely light gold, a bright one! The aromas include white fruit and blossom. 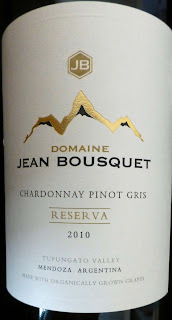 Excellent white fruit (melon, peach) with good concentration, well rounded and refreshing overall plus a good finish. Eight months maturing on the lees helps. Highly Recommended. This is the family speciality, their favourite! It is made from Sémillon harvested very ripe and partially passerillé (dried out). The full blend here (it will vary from season to season) is Semillon 70%, Sauvignon blanc 20, Muscadelle 10. They advise serving it with seafood, pike with white butter, grilled fish, a Cabécou. 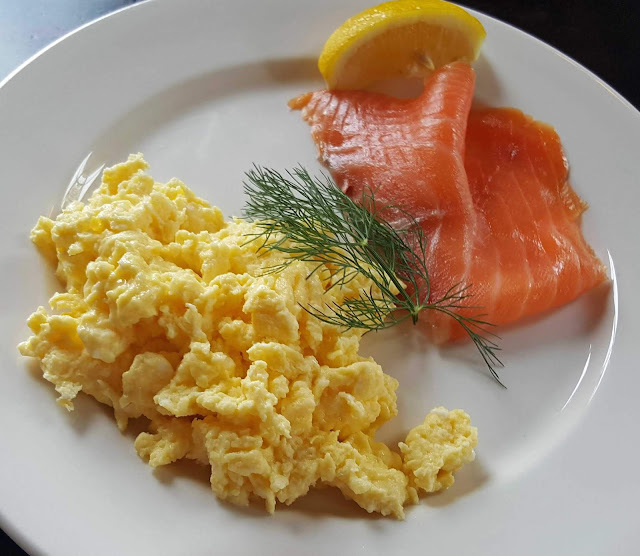 I’d like to try it with some of that fresh Goatsbridge Farm trout, also available in Kilkenny of course, and in many supermarkets. Viticulture is biodynamic, the soil is nourished with seaweed and silica treatments to encourage microbial activity. Yields are low. 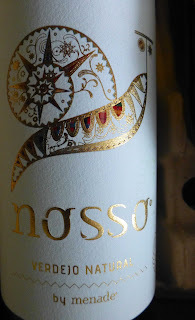 Menade Nosso Verdejo natural 2014, 13%, Vino de la tierra de Castilla y León, 13%, €19.95 (now 17.96) Le Caveau. Castilla y Leon is a large region in northwest Spain that includes Rueda, now the undisputed home of Verdejo. 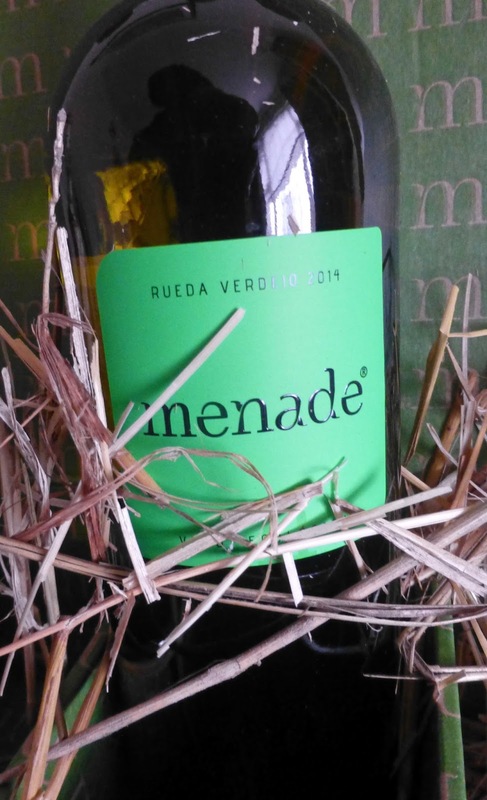 The grapes for this wine come from Rueda itself, from Finca Menade. No added sulphur is used and the cork is covered by a waxy cap. Besides, a box of this wine will be packed with straw, perhaps to signify that it is a natural wine. Unlike its cousin (reviewed here too), it doesn't have the Rueda DO but don't worry, this is an exceptional wine and Very Highly Recommended. There is a good depth of colour, strawy, and it is bright and clean. Aromas of white fruits and some herby hints too. Amazing mouthfeel, superb volume, impressive balance and a finish that goes on and on. If this is organic, keep the real wines coming, waxy cap and all! I’ve seen the words greasy and oily used to describe the feel of this wine but don't let this put you off. 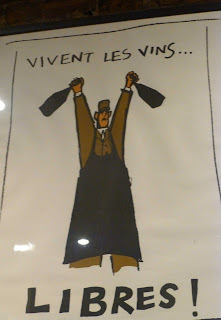 It just means that there is more viscosity - you’ll note that the legs (or tears) on the glass are slow to clear. This family run vineyard, just south of Valladolid, in Rueda, is certified organic. Hand-harvesting, carbonic snow (instead of sulphur), natural yeasts and low yields are among the techniques used to produce pure and expressive wines. And this light gold Verdejo is a very good example. Aromas are of white fruits (citrus to the fore) and there are floral hints too. 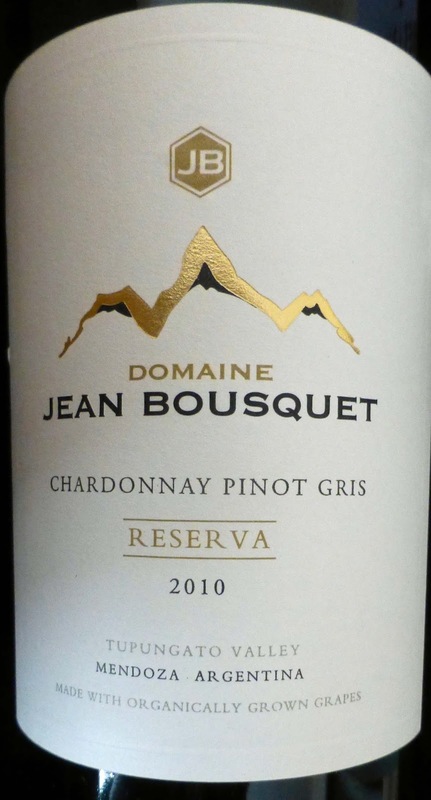 It has lovely fresh fruit, a refreshing acidity, dry, well balanced and an excellent finish. Highly Recommended. 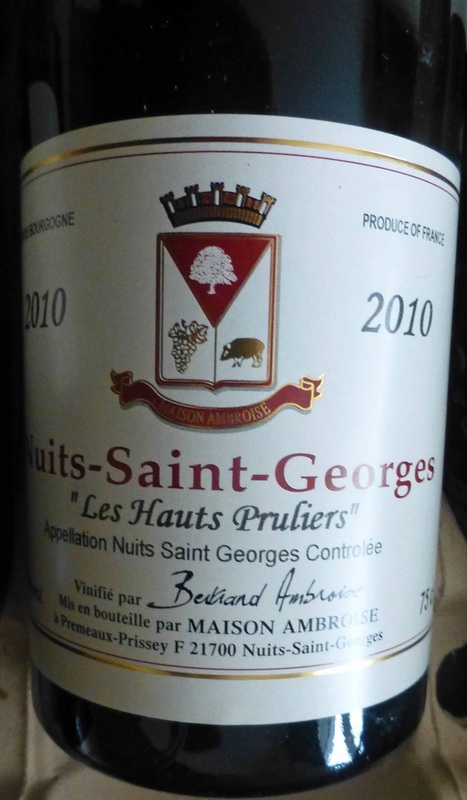 Maison Ambroise, Nuits-Saint-Georges ‘Les Hauts Pruliers’ 2010, 13%, €46.35 Le Caveau. Once on a vineyard visit, I noticed our guide was vigilant in moving us further away every time the tractor and sprayer came anywhere near our group. 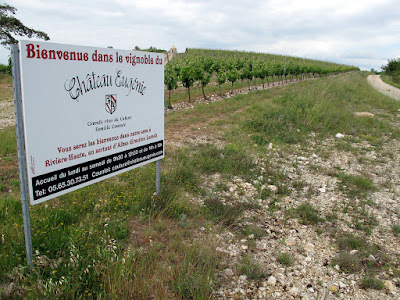 Now I read this about Maison Ambroise: Ludivine (Ambroise) explained the move to organic viticulture is one of true belief as she lost her grandfather due to illness caused by chemicals used in the fields. 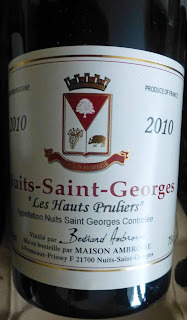 The Les Hauts Pruliers vineyards are located on a very steep slope, just above Nuits Saint Georges 1er Cru ‘Pruliers’. Harvested manually, neither filtered nor fined, the wines are classic and expressive with distinct terroir-influenced personalities. This is quite a gem. It has the typical lighter red colour of Pinot Noir and a bright one too. There is a tempting nose of black and red berries, some spice too. And this is echoed on the palate; smooth and elegant. Deep and rich, nicely balanced, a vibrant mid-palate all heading towards a long finish. If Burgundy is Pinot Noir heaven, then this wine comes from a special piece of paradise. Maybe I should have waxed a little more on the lyrical side with this one, but the city below is flooded, the rain lashing down outside. Very Highly Recommended. Cono Sur winemaker Adolfo Hurtado in the Opera House last year. “The Los Cardos wines are readily available and are among the world’s great values.” So says the recently published Wines of South America. Not that readily available around here but did find this one in the city centre Tesco a few weeks before Christmas and alongside it was the Block 18 which is made by Cono Sur winemaker Adolfo Hurtado who, coincidentally, was hosting a wine tasting in the Opera House at the time. “That will be good,” he told me. And he was right, as he usually is! The prices at the time of purchase were €18.00 for the Doña Paula and €20 for the Block 18 (a Tesco Finest). Cabernet Sauvignon makes wine that can age for decades. The two below are very young but don’t worry. “South American Cabernets...are bursting with flavour at only a couple of years old.” declares Grapes and Wines. I think this pair confirm that. 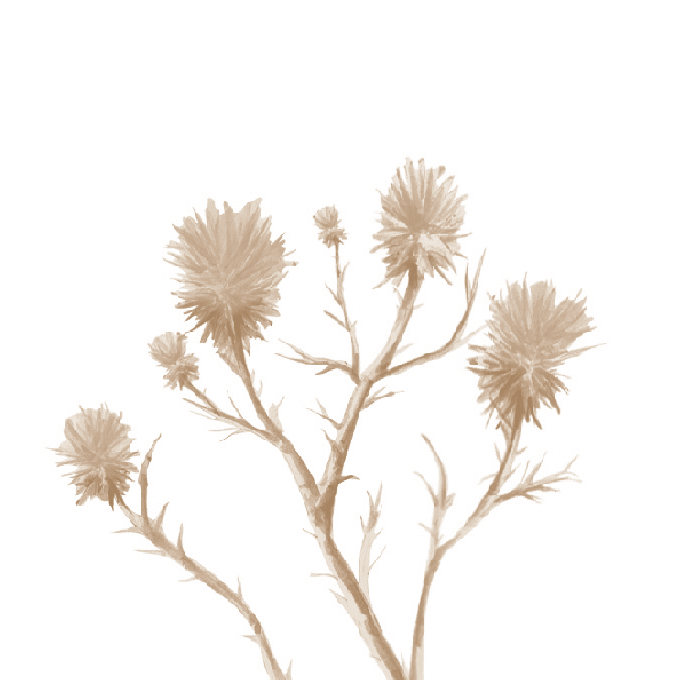 Los Cardos means thistles, “a sign of good terroir” according to the bottle. The vineyards, by the way, are at about 1050 metres up. Doña Paula is the Argentinian arm of the Chilean company Santa Rita. Malbec is their signature wine but they are also well respected for their Cabernet Sauvignon and more as you can see from the Wines of South America endorsement. Despite the large size of the company, they make quite a lot of wine, including this one, from estate grown fruit. Colour is deep ruby and the aromas are quite expressive, featuring mainly dark fruit including typical blackcurrant scents. Quite an intense attack from this one, smooth fruit, spice and fine tannins and a long finish and Highly Recommended. This is also a dark ruby and the aromas are a shade more intense with dark berries and plums to the fore. It is smoother and rounder and more complete on the palate, more full bodied than the Doña Paula and the long lingering finish too is superior. Twelve months in French oak has had the desired effect in terms of complexity and smoothness. Very Highly Recommended. The El Recurso Estate has vineyards divided into blocks and the grapes for this wine, carefully selected by Adolfo, come from number 18, selected for its privileged location in the upper north east Maipo Valley. The rocky, alluvial soil here contributes to the impressive colour and marked intensity. Great with grilled, roasted or barbecued meat.